Defined outcomes for beta cell replacement therapy in the treatment of diabetes are critically needed. Progress towards the clinical acceptance of pancreas and islet transplantation has been hampered by the lack of clear definitions of functional and efficacy outcomes, as well as a lack of consistently applied glycaemic control metrics, together with poor alignment with the field of artificial insulin delivery/artificial pancreas development. To address this problem, the International Pancreas & Islet Transplant Association (IPITA) collaborated with the European Pancreas and Islet Transplant Association (EPITA) to develop a consensus for a joint statement on the definition of function and failure of beta cell replacement therapies, which is summarised in this commentary. The lack of standardised definitions for graft functional and clinical outcomes remains a source of concern in beta cell replacement therapy, influencing its recognition by the endocrinology community as a valid clinical option [1, 2]. To address this issue, the International Pancreas & Islet Transplant Association (IPITA) joined with the European Pancreas and Islet Transplant Association (EPITA) for a two-day workshop entitled ‘Defining outcomes for beta cell replacement therapy in the treatment of diabetes’ in January 2017 in Igls, Austria. The main objective was to develop consensus on the definition of function and failure of current and future forms of beta cell replacement therapies. As a result of the workshop, an IPITA/EPITA consensus report was recently published [3, 4]. The IPITA/EPITA consensus report introduces two important innovations in the field. First, beta cell replacement therapy can be considered as a treatment for diabetes, regardless of aetiology, when beta cell failure is associated with glycaemic instability and either problematic hypoglycaemia  or hyperglycaemia despite availability of and adherence to optimised medical care. This implies that individuals other than those with type 1 diabetes can be included (i.e. individuals with advanced insulinopenic type 2 diabetes, or with insulin-deficient diabetes, such as cystic fibrosis-related diabetes and other pancreatogenic forms of diabetes). Concordantly, detectable C-peptide should not be an exclusion criterion. Second, the functional status and clinical success of a beta cell graft should be defined separately using the same components of assessment: HbA1c levels, severe hypoglycaemic events, insulin requirements and C-peptide levels. To accomplish this, a four-tiered system is proposed to classify the functional outcomes of beta cell replacement (see text box). All of the criteria reported would need to be satisfied in order for an individual to be classified as having an optimal or good functional outcome following beta cell replacement therapy. Both optimal and good beta cell graft function are considered successful clinical outcomes, implying that the use of exogenous insulin or other glucose-lowering (anti-hyperglycaemic) drugs is not synonymous with graft loss or failure. Neither a marginal beta cell graft nor a failed beta cell graft is considered a successful clinical outcome. However, if documented impairment in hypoglycaemia awareness [6, 7], frequent occurrence or exposure to serious hypoglycaemia  or marked glycaemic variability/lability is convincingly improved , then it may be appropriate to consider that a marginal beta cell graft is providing clinical benefit that may outweigh the risks of maintaining immunosuppression . This mandates that hypoglycaemia awareness, serious hypoglycaemia and glycaemic variability/lability be evaluated at baseline for monitoring whether a marginally functioning graft is continuing to provide any clinical impact. Among the four components examined, C-peptide is the most difficult to interpret as it poses greater difficulties in identifying thresholds. In fact, in some cases C-peptide is already detectable prior to treatment and its levels depend on the metabolic demand for secretion (fasted or stimulated, underlying insulin sensitivity, and glucose level) and renal clearance. Moreover, with increasing sensitivity of assays, low levels of questionable clinical significance are often detected despite clinical beta cell failure [11, 12]. Previously, C-peptide <0.1 nmol/l (by fasting and/or mixed-meal tolerance test) has been generally used as both an inclusion criterion for islet transplantation and to define complete islet graft failure . This threshold has been revised in the new definition of outcomes for beta cell replacement therapy, and an increase over pre-transplant measurement of C-peptide to more than 0.17 nmol/l (fasting or stimulated) was proposed. In fact after islet transplantation, fasting C-peptide >0.17 nmol/l was reported to be associated with metabolic benefits and protection from the progression of diabetes complications [10, 14]. The IPITA/EPITA consensus report has the merit of introducing a defined concept of clinical success based on easily measurable variables over time and with a wide consensus from international experts. We expect that the performance of these new outcome definitions for beta cell replacement therapy will be assessed in clinical practice and in clinical research settings, which could include comparing outcomes after different beta cell replacement strategies. However, the field is rapidly evolving and some of the above recommendations will require additional attention in the near future. First, continuous glucose monitoring (CGM) provides meaningful metrics for clinical research and diabetes care [15, 16]. The IPITA/EPITA consensus report takes into consideration the possibility of using CGM data, if available, to evaluate glycaemic variability, time in range and levels of hypoglycaemia instead of, or in combination with, more ‘traditional’ data derived from the self-monitoring of blood glucose (SMBG) and individual completed surveys. All these data may be relevant in the screening of individuals for treatment indication, and in determining the clinical benefit of beta cell replacement therapy after transplantation. However, CGM and SMBG metrics have not yet been incorporated into the definition of clinical success or failure. In the future, increasing use and standardisation of CGM in clinical practice may lead to the inclusion of glycaemic control metrics beyond HbA1c and severe hypoglycaemia events in the definitions for clinical success or failure of beta cell replacement therapies. Second, the definition of clinical success for beta cell replacement therapy is still not aligned with the field of artificial pancreas development. In fact, neither insulin requirements nor C-peptide production can be used to evaluate the efficacy of the artificial pancreas. Artificial pancreases and beta cell replacement are ontologically different approaches: the first is a treatment, whereas the second is potentially a cure for the disease. It is noteworthy that the patient populations targeted for pancreas and islet transplantation, those with end-stage renal disease and/or experiencing problematic hypoglycaemia, have been excluded from clinical trials of artificial pancreas systems because of a concern that they may not derive similar benefits from artificial pancreas therapy as trial participants with relatively uncomplicated diabetes. Despite this, artificial pancreases could be considered for the same indications as beta cell replacement in the near future. Importantly, these treatments are best regarded as complementary approaches in the treatment of diabetes that increase the possible options for delivering individual-centred care. Consequently, whichever mode of hormone replacement is chosen, cellular or biomechanical, having clear criteria for evaluating different degrees of therapeutic success will facilitate the determination of comparative effectiveness and risk benefit analyses for individual circumstances: greater therapeutic success may justify a higher risk or cost, or may be more appealing to some, but not to others. Again, CGM data should be considered and used for making comparisons with artificial pancreas systems . While safety considerations differ between beta cell replacement and artificial pancreas approaches, their detailed assessment will be critical, and qualitative understanding of individual satisfaction will need to be part of future treatment comparisons. Use of individual-reported outcomes, including health-related quality of life, diabetes distress and fear of hypoglycaemia, will require further attention. Last, but not least, the IPITA/EPITA consensus report does not include risk as a variable in grading the definition of successful outcome. This was intentional, as evaluation of beta cell graft function should be directly related to assessment of efficacy. Nonetheless, it is obvious that in clinical evaluation both safety and efficacy are inherent components of a successful outcome. Approaches that involve a high procedural risk or the chronic use of immunosuppression can be justified only by a robust efficacy outcome such as insulin independence or on-target glycaemic control in the absence of hypoglycaemic episodes. However, in the case of approaches with minimal risks, a less ambitious efficacy outcome may be acceptable as success. This discussion may soon become relevant as alternative approaches to transplantation , and stem-cell derived  and xenogeneic sources of islet cell tissue  have entered early-phase clinical trials, and may join established approaches, such as pancreas and islet transplantation, for providing beta cell replacement therapy in the treatment of diabetes [21, 22]. The modifiable risks for beta cell replacement therapy include the risk of the transplant procedure, the risk of the immunosuppression, and the biological risk related to cellular source (e.g. allogeneic or xenogeneic sensitisation and risk of xenozoonosis, etc.) and risk of neoplasia from manipulation of cellular identity. In the future, it will therefore be appropriate to define not only the concept of a successful clinical outcome but also that of an acceptable outcome based on the risk–benefit balance. If any of the emerging approaches to beta cell replacement therapy offer lower procedural or immunosuppressive drug risk, then even a marginal increase in C-peptide production may be considered a successful outcome , as already accepted for type 1 diabetes clinical trials to preserve beta cell function at diabetes onset . 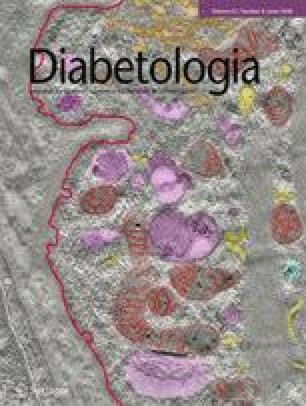 We now know that preservation of beta cell function, as measured by C-peptide, in individuals with type 1 diabetes results in improved metabolic control and reduced microvascular complications . Post hoc analysis of DCCT data suggested that individuals with preserved C-peptide production, defined as stimulated C-peptide >0.2 nmol/l or fasting C-peptide >0.07 nmol/l , had superior glycaemic control and less risk for complications, including less risk of hypoglycaemia, than those with lower C-peptide [25, 26]. More recently, even small incremental increases in C-peptide, particularly those measured below the previously established cut-off point of 0.2 nmol/l, were suggested to be clinically beneficial . These lower thresholds could become acceptable if, for example, it becomes possible to implant insulin-producing cells without the use of immunosuppression and with a very low risk procedure. In conclusion, the IPITA/EPITA consensus report proposes that, to be deemed successful, beta cell replacement therapies should require the HbA1c to be < 53 mmol/mol (7.0%) in the absence of severe hypoglycaemia, associated with a significant (>50%) reduction in insulin requirements and restoration of physiologically significant C-peptide production (>0.17 nmol/l). Baseline assessment of hypoglycaemia awareness, serious hypoglycaemia and glycaemic variability/lability is important for monitoring whether a marginally functioning graft is continuing to provide any clinical impact. This proposed classification of function and clinical outcomes for beta cell replacement therapies will be updated and further refined on the basis of results from implementation of the guidelines in future prospective investigation. Next steps will undoubtedly involve the incorporation of CGM metrics, which will allow for closer alignment with outcome measures used to assess artificial pancreas systems, as well as the inclusion of both risk and individual satisfaction with current and emerging cellular and technological approaches for the treatment of diabetes. The authors thank S. Livingston of The Transplantation Society and C. Parisotto and G. Rossi of the European Society for Organ Transplantation for their assistance with organisation of the workshop. LP is supported in part by a grant from the European Commission (H2020 681070). MRR is supported in part by U.S. Public Health Services research grants R01 DK091331 and R01 DK97830.